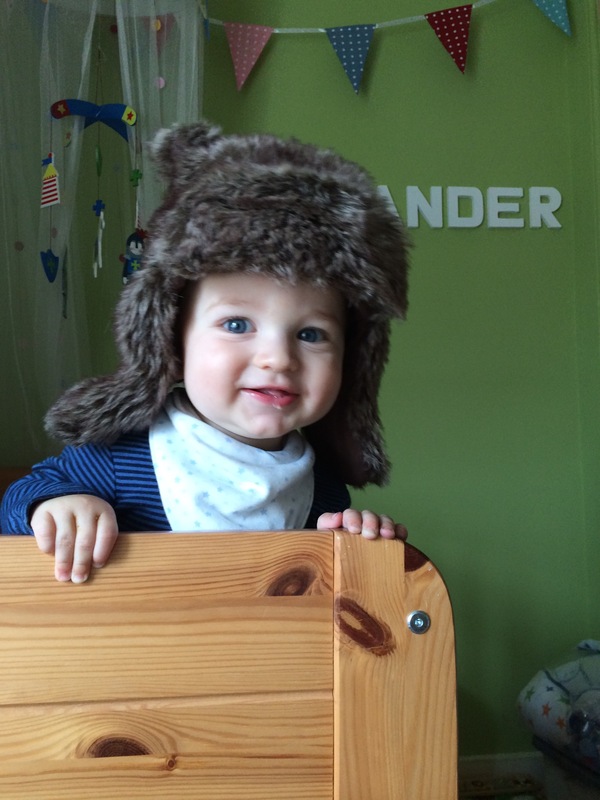 Today when we collected the boys from nursery, we were told that Alexander (aged 14 months) had taken some steps unaided. I smiled, made happy “well done Alexander” noises, and left. 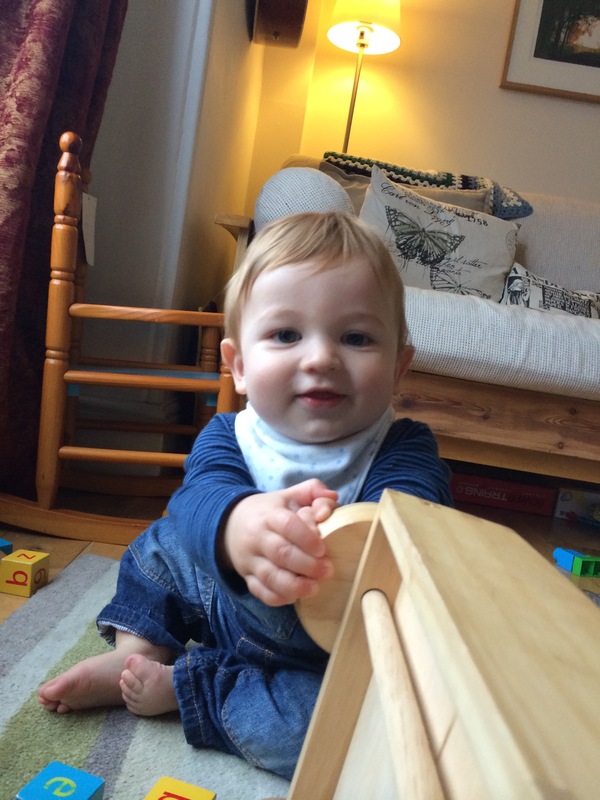 What i didn’t say was that those were his very first unaided steps, and that as I was actually at work all day I’d therefore missed this amazing milestone in my little boy’s development. We could live on beans on toast every day I suppose, and we could forsake all family days out too. To be honest we don’t have that many of them even now (two kids in childcare is not cheap! ), but even so. This year we’re trying to be much better about having actual days out, and were given National Trust membership for Christmas which we’re making full use out of. We bought our house 6 years ago and have had work done on it recently to create a third bedroom. The house is an old Edwardian terrace “cottage”, in all honesty it was probably more than we needed at the time, but I saw the tiles on the floor in the hallway and the handmade front door and that was it. We had to have it. Though we possibly could live somewhere cheaper, it would take an awful lot (including a utility room that we currently lack!) to make me even contemplate moving! I feel awful admitting this. Whilst I have the utmost respect for stay at home parents, and follow their adventures avidly through other blogs, I’m just not certain that it’s for me. Their routines have a great number of fun-looking groups and clubs that I really wish I had the time to take my boys to, but full time? I just think I’d end up shouting WAY too much. I do have Fridays off but these get crammed full with shopping, house chores and Tumbletots classes that we can’t possibly fit anything else in. I also think that the time we spend apart makes the time we are together much more special, or maybe that’s just something I tell myself? 3. Secretly, I want to? I don’t think I could give up my career, not that I’m particularly high flying or anything, but to step off the ladder completely would scare me. I’d worry about whether I’d ever manage to step back on, and how many rungs I’d have to climb to get back to where I am currently. I enjoy my job. I really do. I get to work with people I’m lucky enough to get along really well with, and who seem to respect and value me as much as I do them. I have worked in the same company for over 10 years and can’t see myself leaving any time soon. So there we are, seems like you can’t have your cake and eat it. You can’t be a working mum and still be there for all milestones. I just need to keep my mind on the fact that I’ll be there for enough of them, hopefully. Equally, as one of my friends reminded me today – at least today has given me the heads up to keep my camera with me at all times to capture Alexander’s first steps for me. They may not be his very first, but they will be mine. We’re reaching that part of maternity leave that seems to be full of lasts and firsts. It sounds rather dramatic and sentimental, but today was the last day (ever?) 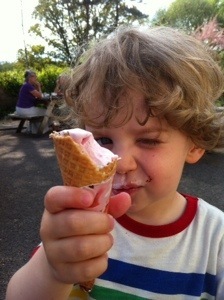 that I get to spend the entire day with my youngest son, on our own, before I go back to work next month. We went to our last (ever!) Saltbox music group and I managed to hold it together enough not to blub at the point where all the babies just sit in awe of the bubble machine (why do I find that really moving? I’m clearly weird!) We’ve really loved those classes, have done them for months. We celebrated our last class by having coffee and cake with a friend. Mmm chocolate cake on Monday morning – the best way to start the week! Alexander and I then had a walk (well I walked, he slept!) and then lunch at home. 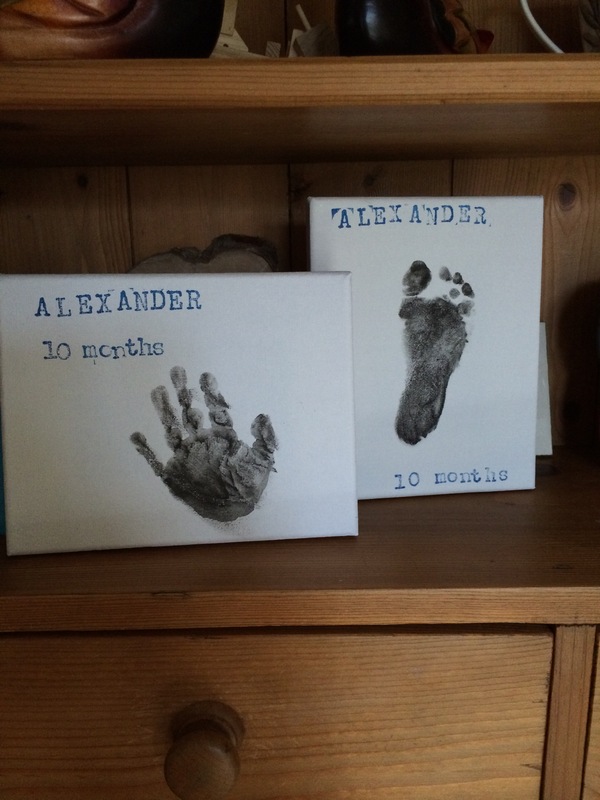 This afternoon I thought we should mark today in a small way, by doing some canvases of Alexander’s hands and feet. We got some kits for Christmas last year and have never got round to using them. Turns out it’s really easy so not sure why we didn’t do it until now. It’s nice that my sentimental brain will be able to look at them in the months to come and know we did that on our last day together. 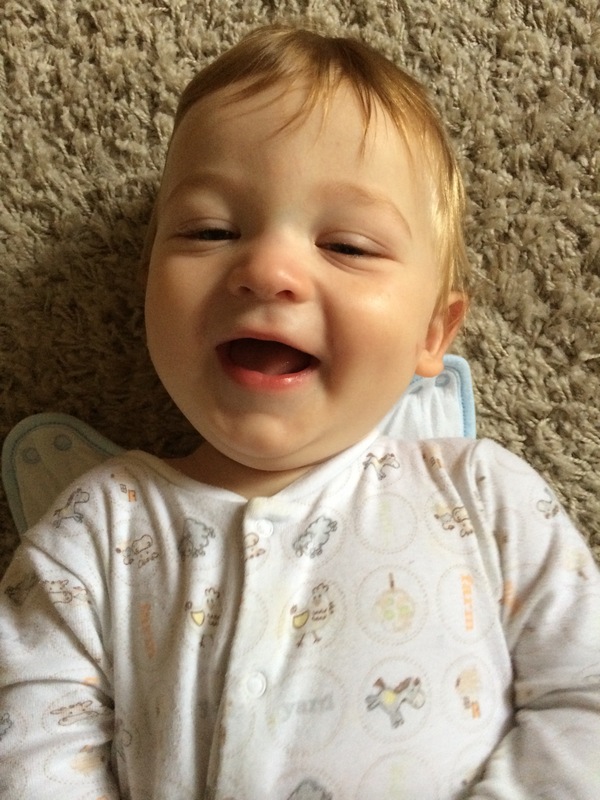 So, my beautiful giggly little Alexander, thank you so much for the past 10 months, I’ve had a ball. Hope you’ve loved it too. I know you’ll love nursery and I’m so jealous of the ladies that get to spend their days with you while I’m at work. 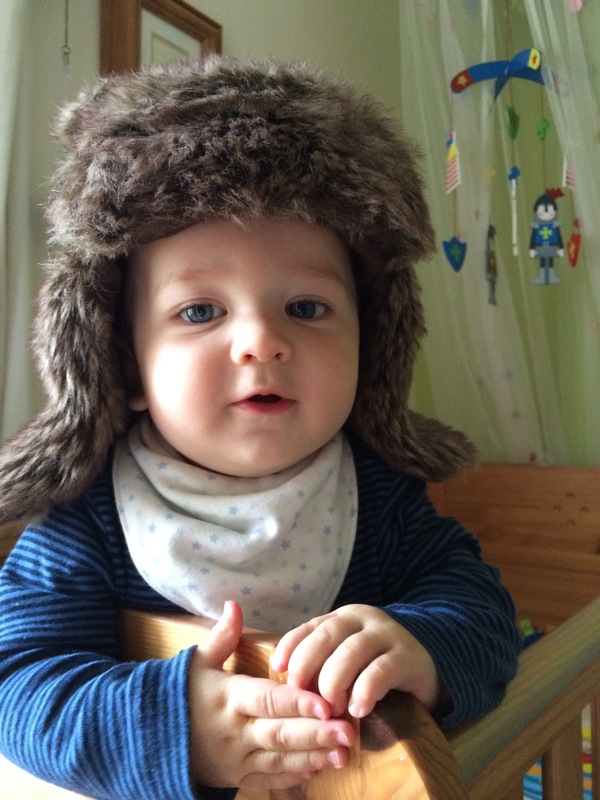 Returning to work for the second time after maternity leave is a very different prospect to return to work version 1.0. Back then was tough initially – thinking about a small person while trying to get a full days work done, cramming activities and family time into the teeny tiny weekend, and all the while still achieving what needed to be done at work without appearing insane (silently crying at desk having found a photo of said child doing a cute face on your phone excluded of course), or falling asleep during meetings! I used to find it too mentally draining to even think about when to fit in any exercise or a haircut, or even a supermarket shop! Little did I know that life back then was a breeze. Returning to work version 2.0 is a whole new kettle of fish. It’s life but not as we know it. I have been lucky to have 10-11 months off with each of our boys, which I’m so grateful for. 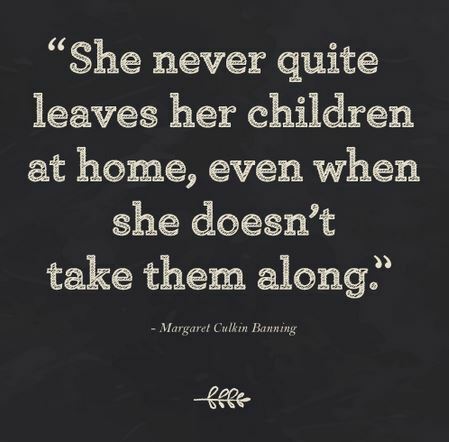 I have really enjoyed having the time to bond with each of my children and recharge my own batteries. I’ve learnt new skills (in addition to the baby-changing-whilst-child-remains-asleep skill for which I remain most proud!) and made new friends. I’m heading back to work next month and have spent the last few days trying to get my head around the logistics needed to get all four of us to where we need to be by 9am every morning. Nursery, preschool and work are in three different places up to 12 miles apart. Headache! We’re lucky that we have both sets of the boys’ grandparents locally who help out one day a week each and I’m also going to be working a four day week so will have Fridays with my boys but it’s a far cry from the relative calm of maternity leave. If I have a bad night with Alexander now I can just sleep when he sleeps the following day. In just over a months’ time, I’m going to have to not only stay awake all day (a challenge in itself), but also attempt to appear relatively sane, lucid and knowledgeable….huh? Might be difficult with matchsticks holding my eyelids open. I don’t even drink caffeinated coffee anymore to help out. In preparation I’ve started thinking about shortcuts I can take. I’ve got myself a Things To Do Today pad (courtesy of a lovely friend for my birthday) and have started running my life according to what I write on said pad each Sunday evening. Meals are planned and activities scheduled. Go me. The boys will be in up to four different childcare settings each week so we’ll be trying to keep some level of consistency by employing lunch boxes of familiar food and equipping grandparents with things that they would normally have at home. In all of this, the one thing that I know will go out of the window every morning for me is breakfast. I have been known to completely skip breakfast in the past – particularly before I got married and had children. Now I’m a monster if I don’t eat, just ask my long-suffering husband! 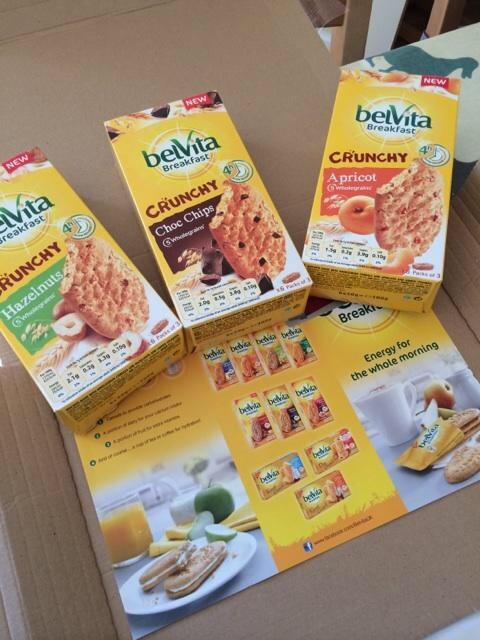 It was perfect timing when BelVita sent me a selection of their new crunchy breakfast biscuits to try out a couple of weeks ago. 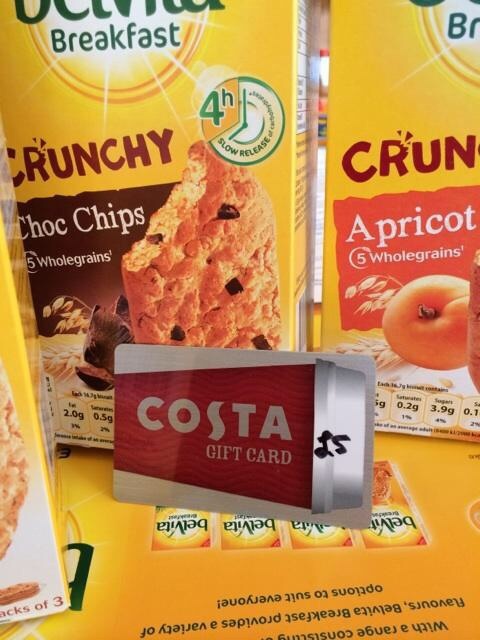 We were sent Apricot (my fave), Hazelnut and Chocolate flavours, along with a lovely £5 Costa voucher. Having trialled them for a couple of weeks, I can definitely say they’ll be firmly on my plan for mornings when I return to work. One pack of biscuits along with some fruit and a portion of dairy (a yoghurt in my case) and I’ll be set until lunchtime. At least that’s one less thing for me to be thinking about! I’d call that a Morning Win! New belVita Breakfast Crunchy offers a fruity, extra nutty or chocolatey option as part of your breakfast experience, adding yet more variety on those busy mornings when there are a million things to juggle, and breakfast is bottom of the pile! They are generously packed with delicious ingredients to make a bigger and crunchier belVita Breakfast biscuit, for when you want a bit of extra oomph from your breakfast! They are the only breakfast biscuits proven to slowly release carbohydrates over four hours as part of a balanced breakfast. Let me tell you about my day. I had both boys today as Nanny and Grandad (C’s parents) are on holiday (they have Elliot normally) and I was super excited about having an extra day together with my little boys this week. Yup it was all going well until we happened upon the “soft play” area – a pretty cool model of the farmhouse, with a ball pool duck pond, a weeble wobble farmer, a couple of chicken costumes that kids other than Elliot can wear (he freaks out around dressing up stuff – bit like me to be honest! ), and a bouncy tractor slide. We arrived and there were three or four other kids playing in it, and Elliot took his shoes off, put them on a shelf and hopped into the ball pool, playing happily with the others. Slowly the numbers dwindled until Elliot was there with just one other little girl who looked around 2 and a half. It was then that THE worst thing that parents fear more than anything else when around others of their species happened. Well ok maybe not the absolute worst thing as that would probably involve some form of bodily fluid erupting from your child…but still, probably the second worst thing happened: BOTH KIDS WANTED TO PLAY ON THE EXACT SAME TOY. Literally both kids wanted to be in the same half-metre squared as the other. The tractor slide was the chosen piece of equipment, and neither of them were budging, choosing instead to try to squeeze themselves into the same air that the other was occupying. Oh god. He’s not going to move. I look at the other mum, who is clearly judging me and my parenting. I decide to pull out the big guns. At this point the other mum turns to me and says “would you like me to have a go?” And she promptly goes over, and starts singing a song about a Big Red Tractor. Her little girl in enthralled. Elliot less so. But they’ve stopped pushing each other. Damn it. How’d she do that? I reluctantly join in the singing and calm is restored. Inside I’m feeling judged, and pretty rubbish. Shortly after this, the “über” mum suggests that her little one might like to go and see the chickens, or something, and off they skip. Feeling a bit rubbish, we stay in that soft play barn for another ten or so minutes later, then the boys and I go to the loo and then head towards the adventure playground. And there she is, “über” mum with her little girl, heading towards us along the path, and Elliot is running ahead of me towards the slides. My face sets itself into a smile, and I’m ready with an anxious “ha ha” as she comes closer. 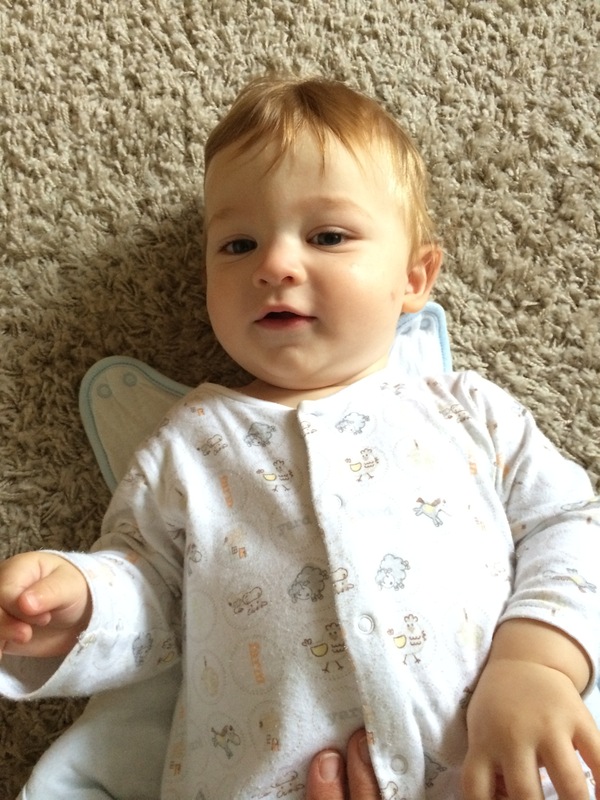 I’m sure she thinks I’m a rubbish mum, and that Elliot is some unruly child who has no ability to self control…. Then I can barely believe my eyes at what happens next. My darling boy, my beautiful, well behaved, gentle darling, stops suddenly in his tracks. He turns to face me, comes to me with open arms and declares, out of nowhere and definitely audibly to those nearest to us (über mum included! 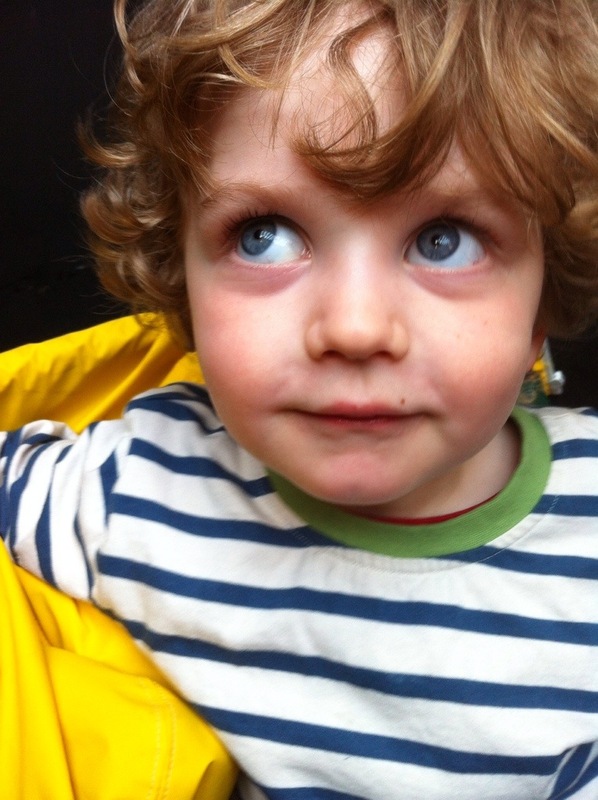 ), “I love you, mummy”, hugs my legs, then turns and skips off towards the slide waiting for him. Über mum hears and I hear her “ahh” at the cuteness of it all. I carry on pushing the buggy, and my heart swells. I love you too Elliot. Maybe I’m doing ok after all. I would never label my child as a picky eater (I don’t believe in labels) but at the age of three he does have clear ideas of what he will (fish fingers, spaghetti bolognaise) and won’t (recognisable vegetables!) eat; and though I know that his diet is largely ok there are definitely areas for improvement. I’ve been thinking about ways of changing this over the past month or so, and recently came across a few techniques I’d like to adopt going forward. EAF is a new approach to picky eating that challenges many conventional parenting techniques. It is based on scientific research and theory but is accessible and practical too. I stumbled across the EAF site and downloaded Jo’s book and have read it in a couple of sittings. Much of the ideas contained within the book feel like common sense, and things we should have been doing anyway. For example, she says that the more we give in to our child’s requests for the same “safe” foods time and again, the more we are actually reasserting a likely anxiety in the child that says that any other food stuff is dangerous. 2. No praising or criticising eating, and no rewards (stickers or other foods/sweets for “trying” new food). In fact, Jo recommends becoming emotionally detached from what your child is, or is not, eating, and brushing it all off so they don’t ever feel like they are ultimately controlling the situation. 3. Child is allowed to leave whatever they like, but they should be made aware that there will be no unscheduled snacks or alternatives. This promotes an understanding of natural consequences – i.e. if you don’t eat your lunch, you’ll be hungry later. There are a couple of things I’m not sure about here though. What happens if you have a really strong willed child who can sit in front of a plate of dinner and pick a couple of bits of chicken to eat, then we take the plate away (without criticising!) and move on to pudding where he eats the lot?!? Surely this just teaches “if I’m patient, I don’t need to eat my dinner to get my pudding”? Or maybe we just need to not have pudding at all, or at least make it fruit based rather than sugary. Hard to do, yes, but generally most of what Jo teaches really made sense to me. If you can establish that mealtimes happen, ideally people eat food which tastes nice and is good for them, and if they don’t eat they know that there are no substitutes, then I can see how eventually this would result in a chilled out, happy, family mealtime which is what we all want really. Inspired by the bento – a box with different compartments – used throughout Japan, there is a growing trend of parents spending time and effort preparing beautifully presented packed lunches and teas for their children which quite frankly put the rest of us to shame. One glance at the beautiful creations from Capture by Lucy, or Eats Amazing, can make you feel inspired to put a bit of effort in and not just going for the age old triangles or squares when making sandwiches! I can only dream of having time enough to make some of the more amazing creations (and a kitchen with a cupboard big enough to hold all the paraphernalia required more to the point!) but having said that, I am totally on board with making food look attractive for Elliot as he does tend to eat more if it looks nice. I therefore do tend to use cookie cutters or special dinosaur sandwich cutters to make sandwiches more fun and have recently taken to putting grapes, berries or yoghurt (with sprinkles!) in silicone cupcake cases. Invariably we get clean plates handed back, so in moderation, I think I can advocate spending just a bit of time looking at how food is presented, particularly if your child is a bit fussy. A stalwart method for getting vegetables into meals that is adopted by most parents is hiding the nutritious good stuff in other foods, so you know it’s being eaten even if it’s not recognisable for the child. We’ve taken to putting together recipes with extra veg grated in to the main component (e.g. courgettes grated into bolognaise sauce, carrots grated into meatballs) and I recently made gnocchi from butternut squash too. I can’t remember where I read this (so apologies for not crediting it!) but the general principle is that children need to try something often up to 10-15 times before it becomes something they “like” or at least will tolerate. One way of encouraging them to try is to introduce the idea of a button in their tummy that sometimes says “Stop” before it realises that it’s food that is “yummy” and that they will often have to try a number of mouthfuls before they like a new food. I’ve used this with Elliot to some degree of success. I explained that sometimes we need to try things a few times and that there’s a button in our tummy that sometimes gets confused and says Stop too early. After a few mouthfuls of a new food, we’d stop and ask him if the button is saying “Stop” or “yum yum” and more often than not it’s had a positive outcome! We’ve been trialling a mixture of the above methods for the last week or so, and I have to report some success. We have been trying to serve meals as family meals (i.e. everyone eats the same thing, at the same time, and everyone has everything on their plate) and despite each time facing the “but I don’t like peas/salad/carrots [insert vegetable here]”, when we calmly explain that we all have the same, and if anyone doesn’t want to eat something they can leave it to one side without talking about it, we’ve had a calm meal. Ok so he’s not actually eating much of the vegetables, and generally these are still on the plate we take back into the kitchen, but we are using the EAF technique of looking at the long view and establishing good eating practices for the future rather than stressing over the number of mouthfuls of food eaten at any one meal. I for one am a whole lot less stressed about Elliot’s eating, and know that with patience (of a saint, admittedly!) we will raise our children to be able to eat a varied diet and have a healthy attitude towards food as adults. Here’s hoping anyway! Ice cream is healthy, right?